The Countryfile Food Tour of Britain takes you on a gastronomical journey around England, Scotland and Wales. Join the nation's leading countryside magazine team as we sample the finest British food and drink from the Cornish pasty, Welsh laverbread and haggis to West Country cider, fine ales and award-winning wines. Plus, we savour less-celebrated dishes, such as the Bedfordshire clanger and bara brith, and meet some of the finest food producers in the land to learn about where our food comes from. 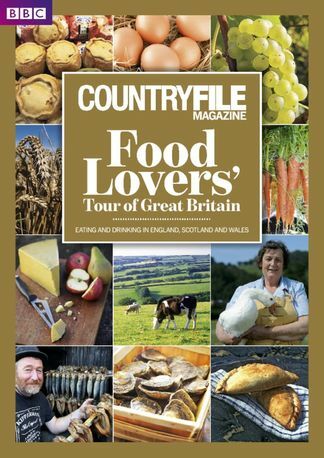 Be the first person to tell us what you think about BBC Countryfile Magazine presents The Food Lovers&apos; and you'll save $5 on your next purchase!